Bridlington Rovers Ladies have been crowned as East Riding Women's League champions after their scheduled opponents this Sunday conceded the game. 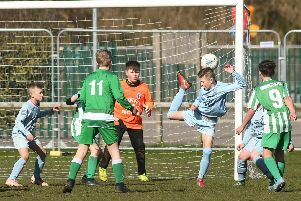 This came just a couple of days after they claimed a 4-3 win against East Yorkshire Carnegie in Sunday’s East Riding County Cup semi-final to keep their treble bid on track this season. The ladies have now moved into the League Cup final and County Cup finals. 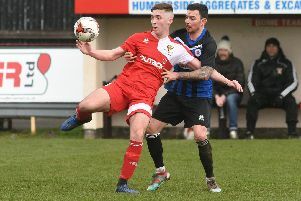 Brid Rovers boss Mark Womersley said: “We are all over the moon, although this is not the way we wanted to win the league championship. “We have now been promoted to the North East Regional League South, the sixth tier of women’s football where we’ll play the likes of Sheffield Wednesday and Doncaster Rovers. “This would make us the second-highest ranked team in the county behind Hull City who play in the third tier. The ladies travelled to Hull University to take on East Yorkshire Carnegie in the semi-finals of the County Cup. Rovers kicked into the wind in the first half and it was Carnegie who took the lead. A free-kick from distance by Becky Shipp caught the wind and a wicked bounce took it past stand-in keeper Dani Kendrick. Rovers hit back with three quick fire goals. The first came from Josie Groves who gambled on a through-ball that held up on the wind, rounding a defender then rounding the keeper to tap home. Amy Thompson then gave Rovers the lead with an excellent run cutting inside the defender onto her left foot and fired into the top corner. Rovers made it 3-1 through Amy Ward who found herself in space around 30 yards out and then smashed a powerful shot past the keeper. Rovers were on top for the rest of the first half with midfield duo of Jess Coyne and Ellie Harding bossing the game and Chamaine Pinder linking up the play. The second half saw Rovers start well but with the wind making it difficult to judge any weight of pass, an Ellie Harding run and shot came close to making it four with Jade Newlove also coming close with a fine strike from 40 yards that crashed into the post. Carnegie made a comeback with two goals to draw the scores level, once again the wind playing a part making it difficult for defenders to judge the flight of the ball. Having said that the back three of Vicky Stonehouse, Mel Marsden and Kennedy Elvin all had very good games in very difficult conditions. In the 89th minute, keeper Dani Kendrick launched a ball over the top with striker Groves starting her run inside her own half. The latter found herself 10 yards clear of the Carnegie defence then calmly rounded the on rushing keeper and tapped home to give Rovers a dramatic last minute winner. This was an all-round excellent team effort in tough conditions for both teams. Coyne took the player of the match award for Rovers, who now take on Pinefleet Wolfreton in the final on April 7.